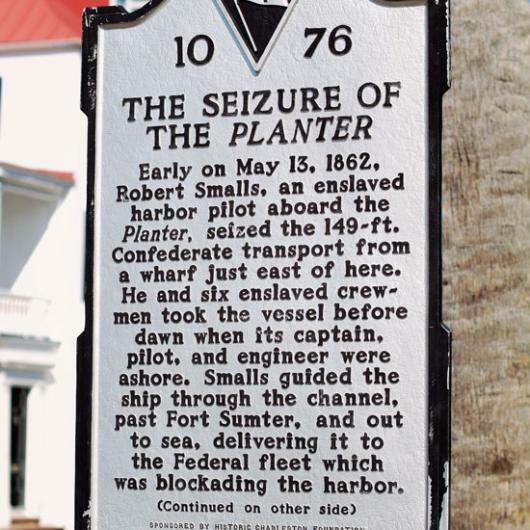 Robert Smalls was an enslaved African American who risked his life for freedom - and became a legend in the process. During the Civil War, he managed to commandeer a Confederate ship The Planter and delivered it to the US Government – sailing himself, his family and crew to freedom in the process. Michael B Moore is deeply rooted n Charleston. President of the International African American Museum, he is also the great-great-grandson of Charleston hero Robert Smalls – founder of the Republican Party of South Carolina. Smalls was elected to the U.S. House of Representatives in 1874 and helped establish a military base at what is now Parris Island. After the civil war, Robert Smalls was commissioned as a brigadier general in the South Carolina Militia. He purchased the house in Beaufort, SC where he had formerly been enslaved.